This course can start at various times during the year. This qualification will take one to two years to complete depending on experience. 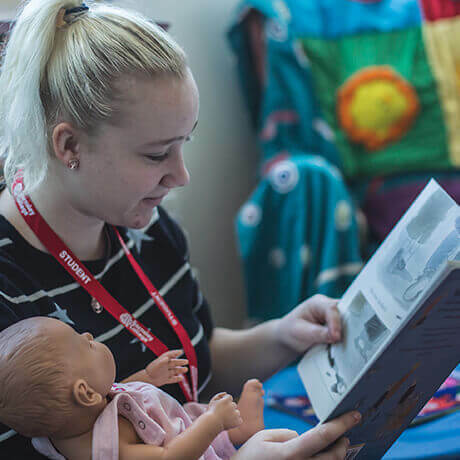 This apprenticeship will prepare you to become Early Years Educators, enabling you to work with children from birth to 5 years and gain knowledge of children aged 5 to 7 years. You will be assessed using a portfolio of evidence, observations in the workplace and assignments. You will be assessed both in college and in your place of work. You will be required to provide pens and paper or computer. You will study within the workplace and attend classes at Barnsley College, Old Mill Lane Campus, Church Street, Barnsley, S70 2YW. Upon completion you could progress onto further study relating to your role or apply for job roles.